What do we really know about other people? Set against the stunning Sardinian landscape of rugged mountains and villages lost in time, this internationally bestselling novel is a multi-generational family saga about love, lust and country. A young unnamed woman reflects on the life of her grandmother, a bewitching and eccentric figure whose abiding search for love spans much of the twentieth century. In 1943, as American bombs fall on the city of Cagliari, the young woman's grandmother is thirty and already considered an old maid, unmarried and still living at home with her parents. But when the bombing ceases, and despite her protests, her father forces her to marry the first man to propose, an older widower she doesn't love. After suffering several miscarriages, she is sent for treatment at a spa on the mainland, where she falls in love with an injured Italian army veteran and nine months later gives birth to a son. Attributing the pregnancy to her spa treatment, she returns to her husband and never reveals the affair. Decades later, she returns to the mainland and travels to her former lover's hometown of Milan. Dressed in her finest coat and shoes, she wanders the streets in search of the elusive veteran. 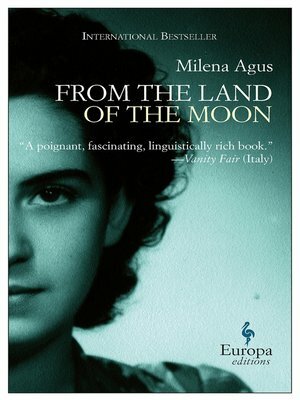 A bittersweet story of love and loss and a moving tribute to the power of storytelling, From the Land of the Moon is the powerful English debut of one of Italy's most important new literary talents.